Welcome back to Paradise, that is, welcome to Brazilian producer Paradise Aircraft to the tropical paradise of Florida where the southern hemisphere builder has set up a remote manufacturing operation. They also began bringing in the significantly-revised P1NG -- dubbed "Ping" -- although it actually refers to the Next Generation version of their P1 model we've seen in the U.S. for some years. In this video we hear about the company and the alterations in the model. Welcome back to Paradise, that is, welcome to Brazilian producer Paradise Aircraft to the tropical paradise of Florida where the southern hemisphere builder has set up a remote manufacturing operation. They also began bringing in the significantly-revised P1NG — dubbed “Ping” — although it actually refers to the Next Generation version of their P1 model we’ve seen in the U.S. for some years. In this video we hear about the company and the alterations in the model. Paradise has found success from buyers to rise into the top 20 of LSA manufacturers. While the company has changed U.S. distributors, the Brazilian base for this attractive all-metal, yoke-controlled aircraft is healthy and growing. We spoke with the designer and learn more about the large-cabin airplane at Sun 'n Fun 2011. Paradise has found success from buyers to rise into the top 20 of LSA manufacturers. While the company has changed U.S. distributors, the Brazilian base for this attractive all-metal, yoke-controlled aircraft is healthy and growing. 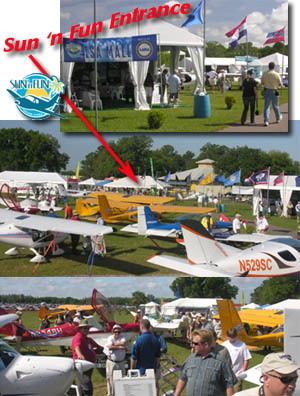 We spoke with the designer and learn more about the large-cabin airplane at Sun ‘n Fun 2011. If you are a conventional general aviation pilot used to Cessna aircraft, you'll probably love the Paradise P1. It looks somewhat similar, has room to carry bulky items and flies like most pilots expect. Paradise's P1 is one of only a few Light-Sport Aircraft that use a yoke for primary control, but that will be familiar to legions of GA-trained pilots. If you are a conventional general aviation pilot used to Cessna aircraft, you’ll probably love the Paradise P1. It looks somewhat similar, has room to carry bulky items and flies like most pilots expect. Paradise’s P1 is one of only a few Light-Sport Aircraft that use a yoke for primary control, but that will be familiar to legions of GA-trained pilots. "RW" Burnley points to changes in the door window and showed how the larger door aids entry and exit. Yes, they call it "Ping" among themselves but it is actually P1 NG, as in Next Generation. "Ping" has a few American user-friendly changes from the earlier P1 brought about by comments from U.S. representatives of the Brazilian design. I'll get into the aircraft changes in a moment but first let me remind you what Paradise Aircraft has done. 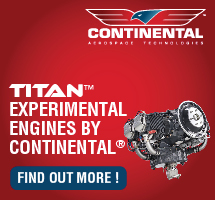 The brand is well established in the southern hemisphere country where they manufacture a line of two and four seat aircraft. These designs have found favor with Brazilian farmers some of whom operate vast operations that are distant from the population areas so they use aircraft to manage their enterprises. If you've followed the news, you may know the natural-resources-rich Brazil has experienced an economic decline as commodity prices have fallen, driven heavily by China's pullback on those purchases while its economy cools. The government of Brazil did not keep up with the changing times and current president Dilma Rousseff is suffering from very low approval ratings. I discuss this not to review geopolitics but to help explain why companies like Paradise chose to set up shop at the Sebring airport in Florida. During 2014 Paradise investigated opportunities around central Florida, looking at facilities at the Sun 'n Fun airport in Lakeland and at the Sebring airport. Like Tecnam, they settled on the latter, joining longtime Sebring resident, Lockwood Aircraft Supply and their AirCam kit manufacturing operations. After announcing this decision in January 2015 and moving some initial aircraft to Sebring, things went quiet. At a local EAA chapter meeting at my home airport of Spruce Creek (7FL6), I was asked by a couple about Paradise and why no more news was forthcoming. A call to main U.S. representative Bert Motoyama ended up producing a visit with a chance to fly the newest model, P1NG. Bert and his associate Randy "RW" Burnley flew up and, over coffee, explained that they had to prove their operation to FAA before they could proceed which overall effort took more time than anticipated. The reason relates to the planned assembly of Brazilian fabricated aircraft. As Sebring will substantially participate in the manufacturing effort, FAA regarded the operation as a "remote manufacturer" resulting in a more detailed examination. Bert and RW prepared carefully and successfully passed the review. Because of a punishing 35% export tax, Paradise will send airframes which the Sebring group will complete. They'll add many components including the engine as less value shipped from Brazil lowers their tax bill. This makes sense and it is also efficient to source many American parts in-country rather than ship them back and forth. After the business discussion, RW invited me to go fly with him and I jumped at the chance. It's been a few years since I flew the earlier Paradise P1 and I anticipating renewing the experience. Our video below (or click here) discusses some of the changes. Let's start with entry to P1NG, which is much easier. Why? Although not particularly visible, Paradise extensively redesigned P1. Noe and his engineers made the door four inches taller and six inches wider (front to rear). Though you still need to duck your head a bit on entry, just like most other high wing airplanes, the less flexible among us will find it much easier to get in P1NG. The door windows are no longer shaped with a teardrop cut-out, but the overall window area is larger, aiding visibility. The plexiglass is also bowed or bubbled out to give more room inside. Paradise has always had a quality interior finish, but P1NG is even more polished with an automobile-like interior. What dominates your view, though, is the dual yokes. While most LSA elect joysticks (that many of us admittedly like), yokes are the most common control in aviation, which may ease the transition of Cessna and Piper pilots to Light-Sport. Some argue you have more lateral control with a yoke than with a joystick that can bump into your legs on full deflection. The interior is roomy up front, but it's the aft cabin that sets P1NG apart from most other aircraft, somewhat resembling the volume of a Jabiru, and for the same reason: this airframe can be a four seater in its native country. Paradise has long supported a model with hand controls and Bert said such a version of P1NG is on its way. The large aft area could carry a wheelchair with ease, after assuring proper anchoring and weight and balance loading. P1NG flies as good or better than the original, which is to say very well. Refreshing my experience recalled the Paradise flies much like a Cessna 150 except with better performance. 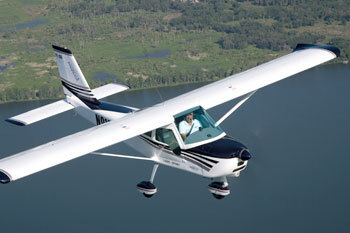 It felt very solid with responsive yet cooperative handling to which any Cessna pilot will adapt almost immediately. It takes off and lands predictably like the discontinued model from the Wichita giant. Stalls occurred at almost ridiculously low speeds, in the high 30s power on or down into the 20s power off, at which speeds ASIs become notoriously suspect. When the airplane stalled, one wing dipped ever-so-slightly and recovery was almost immediate even without adding power. You can see and hear more about P1NG in our video below but suffice it to say that Paradise has lost none of its original appeal and has gained in several worthy ways. With the U.S. operation getting up to speed, I predict we'll again start seeing more "Pings" in the air. I'll be keeping my eye on this company for you. Yes, they call it “Ping” among themselves but it is actually P1 NG, as in Next Generation. “Ping” has a few American user-friendly changes from the earlier P1 brought about by comments from U.S. representatives of the Brazilian design. I’ll get into the aircraft changes in a moment but first let me remind you what Paradise Aircraft has done. The brand is well established in the southern hemisphere country where they manufacture a line of two and four seat aircraft. These designs have found favor with Brazilian farmers some of whom operate vast operations that are distant from the population areas so they use aircraft to manage their enterprises. If you’ve followed the news, you may know the natural-resources-rich Brazil has experienced an economic decline as commodity prices have fallen, driven heavily by China’s pullback on those purchases while its economy cools. The government of Brazil did not keep up with the changing times and current president Dilma Rousseff is suffering from very low approval ratings. Designer and company director, Noe Oliveira stands by one of his popular P1 models at Sebring airport. The revised, streamlined, and enlarged P1-NG has a full size third door, greatly easing loading of baggage. Back a decade, soon to mark eleven years of operation the Sebring U.S. 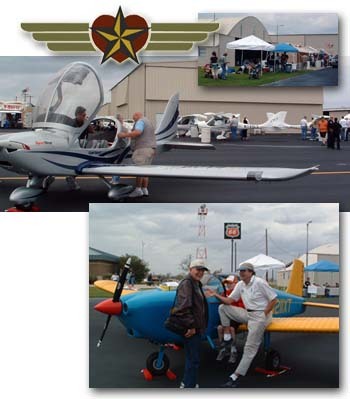 Sport Aviation Expo had a goal of putting the KSEF airport on the map. Doing so should attract business activity. 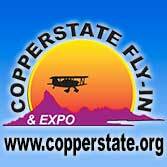 Expo focused on the new segment of aviation — Light-Sport Aircraft — although it also included ultralights, lighter kit-built aircraft, and on occasion, conventional GA airplanes. It appears that 2014 is the year that goal was met. 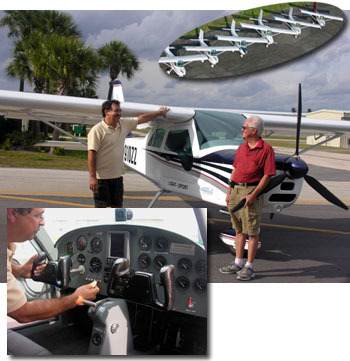 Sebring now claims longtime light airplane resident Lockwood Aircraft, added Tecnam of Italy in the spring with a major new facility, and in November garnered Paradise Aircraft of Brazil. The south of the equator company announced it had leased a 5,000 square foot hangar to launch their U.S. manufacturing and distribution operations. In a visit earlier this fall, Noe Oliveira told me that he was taking steps to build aircraft in Sebring for sale in the USA but also for export to other countries. Assisted by an interpreter, he explained that shipping from the USA is easier logistically so they will serve the globe from their Florida facility, aided by existence of a Sebring Free Trade Zone that reduces government fees. 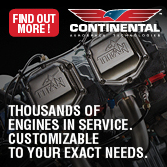 The program will start with shipping a few already completed aircraft for reassembly and delivery, followed by partial manufacturing, and culminating in full manufacturing in America. 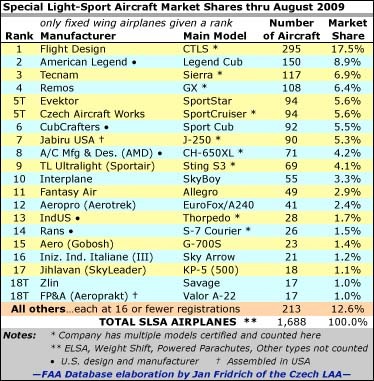 I know of another Brazilian LSA company consider something similar and Brazilian jet maker Embraer has recently set up shop at the Melbourne, Florida airport ... so Paradise may be on to something with their recently announced move. 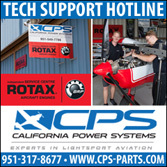 In the beginning days of Light-Sport, in 2005, Paradise Aircraft had a distributor based at Sebring. A local newspaper article reported, "It didn't work out," according to Sebring Executive Director, Mike Willingham. "The economy did all those terrible things." Willingham continued, "[Paradise was] looking for a location, but they didn't seem to be able to work out anything anywhere but here." The U.S. operation will move into the hangar on December 1, 2014. "One supervisor will train the workforce, which will be hired here," Willingham said. "Initially, about five to ten people [will be employed]." After Paradise starts building additional models, the workforce will grow, explained Willingham. "Who knows," he asked? "The sky is the limit." Bert Motoyama will be Director of Operations at the new facility and confirmed the earlier plans, "The main focus is to manufacture right here in Sebring, using U.S. sourced parts as much as possible. Eventually, all P1-NG production will take place at Sebring for distribution around the world." Counting Paradise, Willingham said Sebring is nearly full. "We're almost to that point now," he noted. "We started the year with 200,000 square feet of available space. Today, it's almost zero." It appears the airport's ten-year-old plan is working. 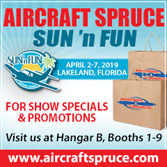 At the upcoming Sebring Expo, Paradise plan to feature their new P1-NG, a next generation Special Light-Sport aircraft with a new full-size cargo door (photo, arrow) and additional streamlining to allow faster cruise speeds. Bert said, "The main focus is to manufacture right here in Sebring using U.S. sourced parts as much as possible. Eventually, all P1-NG production will take place at Sebring for distribution around the world." 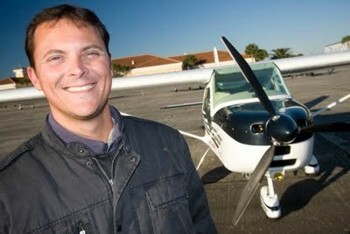 Paradise Aero Industry was formed by Noe Oliveira in 2001 quartered in Bahia, Brazil. His Paradise P1 debuted in 1999 and today the company builds several models including P1-NG, P2, P2S, P4, and Eagle. 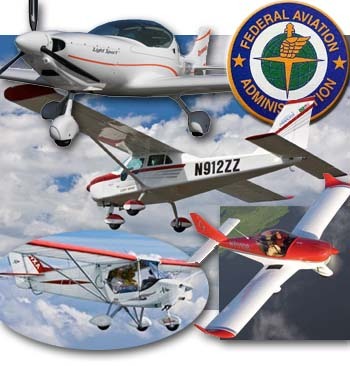 FAA and other government agencies accept Paradise aircraft as SLSA. For more information about the fleet of Paradise aircraft visit the company website. The Sebring Expo runs January 14-17, 2015. Planning is already ramping up quickly so make your plans to attend soon. A fresh year of recreational flying awaits you. Back a decade, soon to mark eleven years of operation the Sebring U.S. Sport Aviation Expo had a goal of putting the KSEF airport on the map. Doing so should attract business activity. Expo focused on the new segment of aviation — Light-Sport Aircraft — although it also included ultralights, lighter kit-built aircraft, and on occasion, conventional GA airplanes. It appears that 2014 is the year that goal was met. Sebring now claims longtime light airplane resident Lockwood Aircraft, added Tecnam of Italy in the spring with a major new facility, and in November garnered Paradise Aircraft of Brazil. The south of the equator company announced it had leased a 5,000 square foot hangar to launch their U.S. manufacturing and distribution operations. In a visit earlier this fall, Noe Oliveira told me that he was taking steps to build aircraft in Sebring for sale in the USA but also for export to other countries. Paradise P1, with 14 registered Light-Sport Aircraft models flying in the USA. P1NG is not a sound nor golf equipment. The clever name (that’s a “1” not an “i”) is similar to a plane you know as the Paradise P1. Now get ready for the “Next Generation” P1, or simply, P1NG. The P1 you may have already seen was designed around a four-seat model with the aft cabin simplified to a luggage space. More on the entire family of Paradise airplanes below. P1 and P1NG offer more cubic area than most cockpits in light aviation. Besides a spacious cabin the front seats remove in a few seconds allowing an occupant to stretch out fully in its length. Alternatively, P1NG could easily carry golf clubs (you probably ought to load the American Ping brand), a family pet, camping gear, or anything else that fits within the weight & balance envelope. Though absent from the U.S. market for several years, Paradise reports good business in their native Brazil, a large and aviation-active country. Paradise Aircraft, based in Florida, joins the Facebook crowd with its own fan page here. Chris Regis, U.S. rep for the Brazilian-based company which has certified the airplane in the United States, Brazil, Australia and South Africa, tells me the company is moving ahead after a good spring sales performance with some company and product updates. *** On the Facebook page you’ll find an a aerial view of the new 75,000 sq. ft. factory for producing the Paradise P1. The design just celebrated its 10th anniversary at the end of 2009. *** Carbon-fiber float maker Mead and Paradise have teamed up to offer amphibious floats for the P1. *** The camping picture from owners Neil and Karen Salmi shows the “stuff” carrying ability of the P1. Not a lot of LSA could carry that volume of gear. Of course the total 1,320 lb. Molly McMillin of the Wichita Eagle reports today that Cessna is speeding up its deliveries of the C-162 throughout 2010, after delays were announced early in the year. 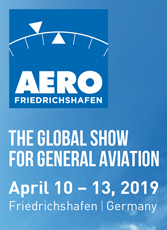 The announcement was made at the Aero Expo in Germany today. 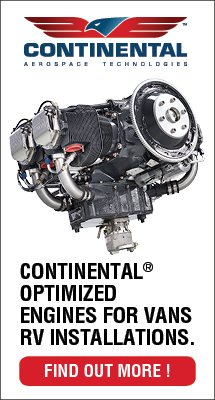 *** McMillin also writes that Cessna veep John Doman believes the piston-powered aircraft market may be stabilizing and could turn around soon to a growth profile, perhaps as early as mid-2011. 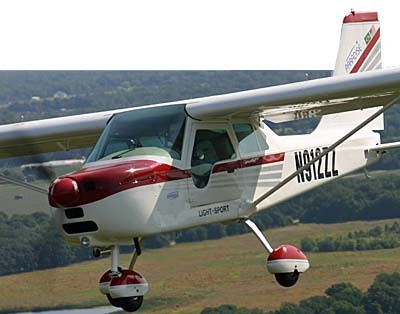 *** In a related story, Shenyang Aircraft of China, the state-owned manufacturer of the Skycatcher airframe for Cessna, plans to build a new factory to expand its production volume. *** An airport will also be built at the site — but original plans for a mid-2010 opening have been delayed to 2011. *** Future Skycatchers will still be outfitted and test-flown in Wichita. *** UPDATE on Michael Combs “Flight for the Human Spirit” odyssey: he’s off and flying! The nasty Salina, KS weather that kept him on the ground for 3 days broke today and he promptly launched. Here's some notes from a release sent to me from Chris Regis. *** His family's Paradise Aircraft makes the all-metal P-1 SLSA, which I've featured here in the past. *** Paradise started in Brazil in 1985, and has its HQ and a big new factory there, as well as the U.S. presence which Chris wrangles along with his dad, Gen. Mgr. Paolo Oliveira. *** I also did a story then about Dylan Redd, a paraplegic young man who flies a specially-modified all-hand-control P-1. *** Chris is one of the people I look forward to running into at airshows. His constant smile and genuine, sunny disposition bring a lift to the heavy workload that shooting/flying/talking/writing at the shows often is. *** Back to Paradise, which has just partnered with Travers & Associates, an aviation insurance brokerage established in 1950. *** The company covers P-1s based in the USA with favorable rates. *** Chris Travers, Sales Mgr. 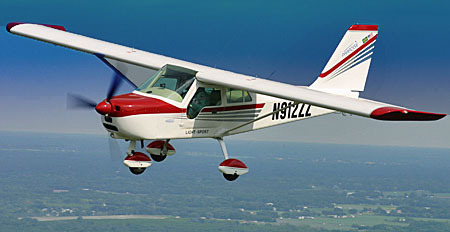 for the insurance company, says: "Paradise aircraft are one of the most insurable Light Sport Aircraft in the world. The outstanding safety record, parts availability, and docile nature also make them one of the least expensive Light Sport Aircraft in the industry to insure." *** Specifics: "A Paradise P1 valued at around $100,000 will cost approximately $1,400 per year to insure for personal use, which would include $1,000,000 in liability coverage." *** I posted Mike Adams' (V.P., Avemco Insurance) comments here the other day. Insurance underwriters have to make it their job to understand the risks inherent with aircraft coverage, so Travers Insurance's enthusiastic support of the P-1 is not to be taken lightly. *** Chris Travers goes on to say he's impressed with the 33 knot (full flaps) stall speed and stability of the P-1. *** Insurance folk also like welded steel tube crash cages and beefy landing gear too: LSA that have them, including the P-1 (solid aluminum mains), have lower bodily-injury claim rates. *** Travers, like Avemco, quotes rates based on the plane's market value, pilot experience, and other risk factors. *** "Because Paradise Aircraft are typically safe and reasonably priced, our rates tend to be very affordable. 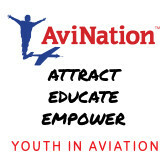 We work with sport pilots to put together a comprehensive program based on their experience and how often they fly." *** I really enjoyed flying the P-1 at Sebring '09. Very stable, easy to land, comfortable, plenty of room behind the seats for storage. The P-1 is a sturdy, proven design worth looking into. Here’s some notes from a release sent to me from Chris Regis. *** His family’s Paradise Aircraft makes the all-metal P-1 SLSA, which I’ve featured here in the past. *** Paradise started in Brazil in 1985, and has its HQ and a big new factory there, as well as the U.S. presence which Chris wrangles along with his dad, Gen. Mgr. Paolo Oliveira. *** I also did a story then about Dylan Redd, a paraplegic young man who flies a specially-modified all-hand-control P-1. *** Chris is one of the people I look forward to running into at airshows. His constant smile and genuine, sunny disposition bring a lift to the heavy workload that shooting/flying/talking/writing at the shows often is. *** Back to Paradise, which has just partnered with Travers & Associates, an aviation insurance brokerage established in 1950. *** The company covers P-1s based in the USA with favorable rates. Paradise USA just marked the 10th Anniversary of its P1 design with some positive and encouraging signs for the industry: *** The Paradise P1, which I did a story on this year, is now certified in the U.S., Brazil (it’s home company has a new 75,000 sq. ft. factory there), Australia and South Africa. My story in the mag focused on Dylan Redd, who flies a specially-modified P1 with hand controls for paraplegic pilots. *** The Sebring-based U.S. arm of the company markets the P1, an excellent SLSA that’s based on a four-seat design, so for one thing it’s got a lot of room behind the seats for baggage, something that’s not that common for the industry. *** Paradise has designed and marketed eight different aircraft since 1985. *** Here’s a big congrats to Chris and crew and best wishes for another 10 years of successful LSA design and marketing. Called "Noe's Ark" for the name of its Brazilian designer (right), the P-1 has sold 64 units, all in Brazil, mostly to ranchers flying long distances to properties in regions where roads are sparse. Paulo Oliveira is general manager of Paradise USA based at Sebring. Check P-1 specs. SEBRING 2008 UPDATE -- OK, two hardly makes an invasion, but after 32 months, we had no Brazilian Special Light-Sport Aircraft; now we have two since Christmas. On January 10th, the American importer of Paradise P-1 won approval to become our newest SLSA model. 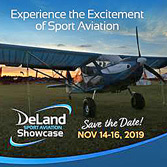 Like nearly every player in the LSA industry, Paradise will display at Sebring, except this company calls Sebring home so they won't even get airborne to attend. *** The metal P-1 is a beautifully finished, all-leather interior, spacious airplane in the Cessna 150 tradition...except P-1 offers much better performance to go with the larger cabin. Built of welded 4130 steel tube covered with aluminum, P-1 qualifies for a 1,650-pound gross in Brazil. At 42 inches wide and using panel mounted yokes, Paradise enjoys unhindered floor space with lots of legroom. More than 30 cubic feet of space in the aft cabin (enough for a golf bag) can hold 70 pounds of baggage. *** P-1 cruises 115 mph, stalls at 38 (min), can travel 500 miles, and is priced at $106,000 with a good standard equipment list including 100-hp 912 with slipper clutch, 3-blade prop, radio, transponder, leather interior, and wheelpants. 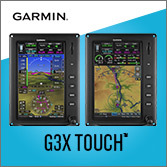 Dynon, autopilot, and other goodies are available. 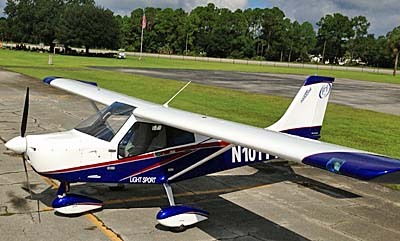 SEBRING 2008 UPDATE — OK, two hardly makes an invasion, but after 32 months, we had no Brazilian Special Light-Sport Aircraft; now we have two since Christmas. On January 10th, the American importer of Paradise P-1 won approval to become our newest SLSA model. Like nearly every player in the LSA industry, Paradise will display at Sebring, except this company calls Sebring home so they won’t even get airborne to attend. *** The metal P-1 is a beautifully finished, all-leather interior, spacious airplane in the Cessna 150 tradition…except P-1 offers much better performance to go with the larger cabin. Built of welded 4130 steel tube covered with aluminum, P-1 qualifies for a 1,650-pound gross in Brazil. At 42 inches wide and using panel mounted yokes, Paradise enjoys unhindered floor space with lots of legroom. More than 30 cubic feet of space in the aft cabin (enough for a golf bag) can hold 70 pounds of baggage.